Placing bets on the wildly unpredictable Championship is traditionally a mug’s game, but even so, there are sure to be some astute punters on the verge of a healthy pay out this weekend. Rated as 16/1 and 25/1 long shots back in August, one of Watford or Bournemouth WILL celebrate an unexpected title triumph on Saturday – and even though I didn’t have a penny on either, I couldn’t be more delighted. These two sides are going to be fabulous additions to the Premier League. Take part in Grosvenor’s Blackjack Tournament for a chance to win £50k! If you’re looking for a little extra cash this May, what better way to get it started than with Grosvenor’s Live Casino Blackjack tournament? From the 21st April to the 11th May, you can play in any of our local London casinos or qualify online. Take a look here for all you need to know about qualification for this exclusive tournament. 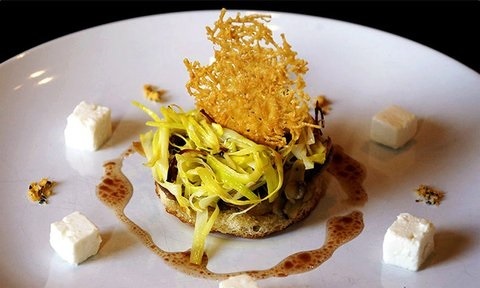 London online entertainment guide The Nudge compiles a monthly guide to unmissable pop-up restaurants. Recommended events: Gastronomy meets science at multi-sensory dining event Synaesthesia. Former Fat Duck chef Jozef Youssef has created the experimental seven-course modernist meal, which incorporates sensory audio-visual aids. The dinner costs £56-65 per head and takes place at Maida Hill Place, 4 Fernhead Road, W9 3ET, with various dates throughout May and June. Also worth treating your tastebuds to is Edible Stories, a theatrical-themed food pop-up. Every week until 15 May, the dining experience takes much-loved stories, including Matilda and Les Miserables, and brings them to life through the use of food. The play is broken down and presented as edible courses. The meal costs £65, including three to four courses and a welcome cocktail. Use Grub Club to search for pop-up dining events that are run by passionate chefs in their own homes or unusual locations, from a tube carriage to a clock tower. Filter events by how much you wish to pay, the type of cuisine you fancy and your diet, which includes vegan and vegetarian-friendly events. Recommended events: A Secret Garden Barbecue on Sunday 12 July in a Michelin-trained chef’s own back garden. There’s a cocktail on arrival and BYOB. Costing £35, guests can expect a hammock, great music and plenty of tasty food to while away the (hopefully) sunny afternoon. Those in the know love The Underground Supper Club which helps to explain why every event they run sells out. Taking place in a 1967 Victoria Line carriage in the Walthamstow Pumphouse Transport Museum in East London, diners can enjoy a five-course tasting menu while making friends with strangers. Head Chef Alex Cooper is a graduate of Le Cordon Bleu School in Paris. Popular blog London Pop-ups details all of the pop-up restaurants, bars, shops, galleries and gigs in London, complete with maps. The Supper Clubs section includes all of the regular supper clubs that hold frequent events, from Japanese supper club Salon Japon to vegan supper club V-Curious. 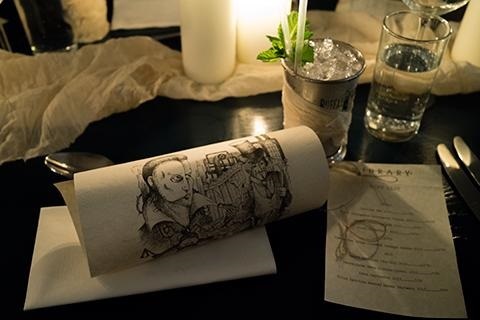 The Disappearing Dining Club is a monthly supper club that includes dinner and dancing inside a clothes shop on Brick Lane or an antiques shop in Spitalfields and costs around £50. The next one is on 7 July. Online London guide Londonist publishes a monthly round-up of the best foodie pop-ups, supper clubs and markets in its monthly Top Foodie Things To Do This Month article. 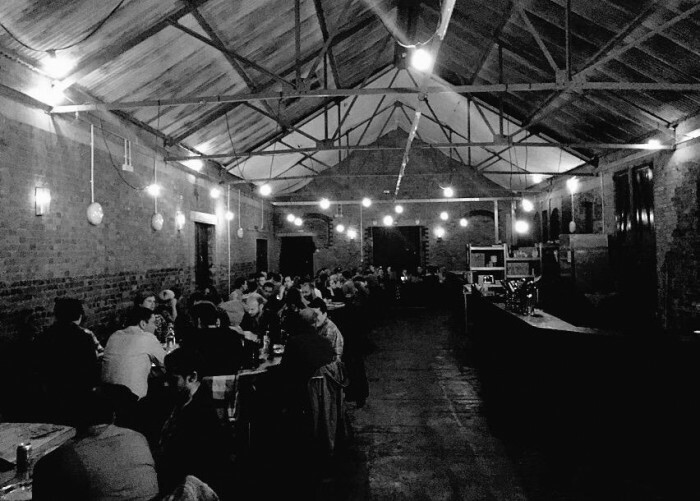 Recommended events: Scottish supper club Dram & Smoke is serving up a five-course meal and a whisky cocktail for £40 at a former sofa factory in Hackney Wick. The feast includes cullen skink mousse, potted duck with tattie scones, salt-baked lamb shoulder and a lemon hot toddy tart. The event is taking place on Wednesdays to Saturdays until 16 May. 2010 Irish Open Winner, James Mitchell, scoops top prize at this year’s GUKPT Edinburgh event! This year’s GUKPT Edinburgh event saw young pro & Irish Open 2010 winner, James Mitchell, scooping £33,930 and the GUKPT champion’s crown after four years of attempts. His efforts did not go without a healthy pay-packet, though. In 2008 he took third place and won £45,000 at the Luton leg and in 2010 he scooped £4,100 when he finished 9th place at the Walsall leg. His final attempt before his eventual win came just this year when he came 4th at the Blackpool leg, earning himself £16,000.